Leonard Cohen, one of the all-time great songwriters and one of the few with a real claim to the term “poet”, died in Los Angeles, this week, aged 82, joining the list of senior figures from the music world that we have lost in 2016. Cohen was born in 1934, and so was a few years older than many of his musical contemporaries – Bob Dylan and Joni Mitchell for example – and his style made him seem older still, a kind of elder statesman of the singer-songwriter scene. Cohen had already established a reputation as a poet and novelist in the early 1960's before he became a singer, initially setting his poetry to simple folk tunes - he said as a way of making a living which he was unable to do from poetry alone. His first live performance was at the Newport Folk Festival in 1967 and, after a prolonged break in the 90's, including retreat to a Buddhist monastery between 1994 and 1999, he toured regularly until last year. Born to a wealthy family in Montreal, Cohen had a conventional Jewish upbringing but became interested in music and poetry whilst at High School. He was taught guitar initially by a flamenco player, which probably accounts for his favouring of the nylon strung instrument. He moved to London, then to Greece, to pursue his poetry and his muse, Marianne Ihlen (“So Long, Marianne”). His success as a singer started in the late 1960's and continued until the 1970's. His output during the 1980's fell away in both volume and quality and he withdrew from the music scene. He returned to touring in the 2000's after he discovered that his coffers had been emptied by his manager and that he was once again forced to sing for his supper. With his gravelly voice and laid back declamatory style his singing style was unique. His songs were almost all at a slow tempo, and the deep dark voice, at least an octave below his contemporaries, contributed to a reputation for making depressive, suicidal music. In later years though, the droll and often dark humour that had occasionally shown in his earlier work (“Field Commander Cohen” for example) became a more pronounced feature, especially in his live shows (such as the tongue in cheek song introductions on the Live in London album). Although the lyrics were dark and generally serious and had their effect though linking the intensely personal to the mythical or religious, his work was always carried by his melodies. These were simple, sometimes even catchy (think of “Famous Blue Raincoat”) and, unusually, derived from a range of genres different to the blues and American folk styles of his contemporaries. There is often an echo of Klezmer, transmuted through French chanson and tinted with Spanish and Greek elements (listen to the finger-picking and the mandolin on “The Partisan” for example). The musical arrangements continued to be sparse throughout his career, the gently picked nylon guitar a constant in the earlier work but supplemented (and ultimately replaced) later by piano and even drum machines and synthesisers (on “Ten New Songs”). Leonard Cohen's albums are not generally regarded as audiophile favourites (you're more likely to encounter Jennifer Warnes' covers album at a hi-fi show, they were always well recorded and generally set exemplary standards for clarity and directness of communication. After being signed to CBS by John Hammond the early albums were produced by John Simon (who also produced The Band and Simon and Garfunkel around the same time) and Bob Johnson (known for his work with Bob Dylan), and were typical high-quality CBS releases. Strings and other instrumentation were used sparingly whilst sublime female backing vocals perfectly offset the texture of Cohen's voice. 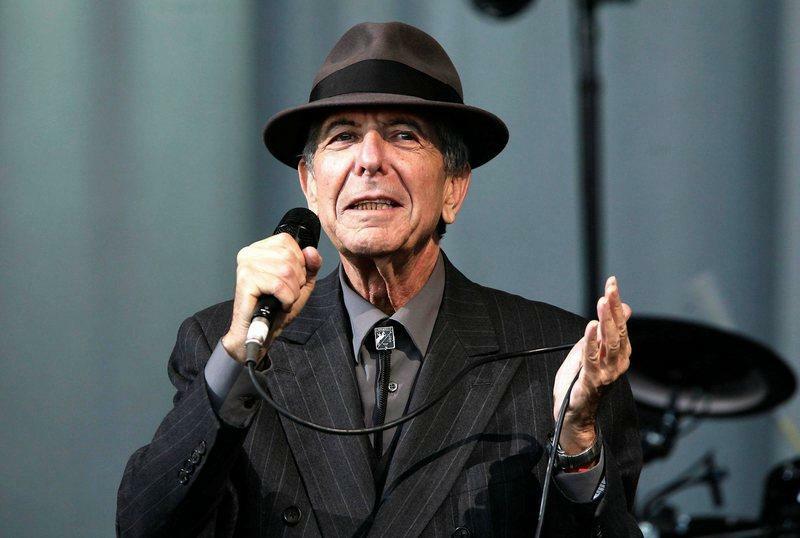 In the last few years, with the help of his son, Adam, and Patrick Leonard (Madonna, Bryan Ferry) in the producer's chair, Cohen created some of his finest work. My own favourite of his albums, “Popular Problems”, is gospel orientated, based on sombre hymnal piano figures, featuring the typical close recorded vocals lightened as ever by female backing vocals (listen for example to “Did I Ever Love You?”). String and choral arrangements also feature along with the subtle use of synths and even the occasional guitar. Like the best of Bob Dylan's work, Cohen had a way of connecting the specific and personal to the great universal themes of love and death. It seems he was aware of his impending demise when he was making his final album, with lines like: “going home without my burden, going home behind the curtain, going home without the costume that I wore”. In truth though it was no more or less bleak than much of his output as, in many ways he seemed more content as he reached the end of the road.